Get your Refrigerator Repaired Today. Having a different problem with your refrigerator? Call us now to book an appointment and our fridge technician will provide you with a full diagnostic and a written estimate before performing repairs. If a refrigerator isn’t working properly, receiving immediate repair is urgently needed. 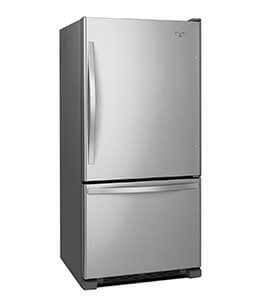 The Appliance Repair Doctor, covering The San Francisco Bay Area, provides same-day service for fridge repair. Servicing all major and less well known brands, residential and commercial, and all styles: top or bottom mounted, French door, built in, under counter and all other types. The refrigerator has Stopped Working: If the appliance is receiving power other reasons that could keep it from running include a circuit that has blown or a door switch incorrectly showing the door open. A more serious problem may be the coating of the condenser coils with dust and lint. Leaving the coils uncleaned for a long time may have caused the condenser to burn out. If the condenser must be replaced the cost of food lost to spoilage must be added to that of the repair. Most refrigerator manufacturers recommend having the condenser coils cleaned by a professional every three to six months, which apparently very few people actually do. Moisture Forms on the Refrigerator’s Exterior: Condensation causes “sweat” to appear on the outside of the refrigerator. Cool air produced by the refrigerator draws moisture from the surrounding warmer air. Worn door gaskets or temperature set too cool can cause condensation. An internal problem with faulty water lines or connections can also cause condensation to form. The refrigerator is Leaking: Leakage, a common problem with refrigerators, is often caused by a worn or loose gasket which makes the refrigerator work harder. Condensation then forms on the condenser coils and drips on the floor. The gasket can be cleaned and lubricated to make it seal but usually must be replaced. The defrost drain should be checked to make sure it is not blocked by food particles or ice. The leak may also be caused by a cracked drain pan. Water lines, like those running to the ice maker, might be torn, cracked or kinked. Or maybe their connections have worn out. Any defective parts will have to be replaced. The Refrigerator is not Cooling Properly: The temperature settings may have to be adjusted. They should be set at 36 to 40 degrees Fahrenheit. Excess frost may have developed on the evaporative coils in the freezer. It can be removed by manual, or in the case of frost free refrigerators, automatic defrosting. However, elements of the defrost system may have failed. If either the defrost timer, the defrost heater or the evaporator fan fail the refrigerator can’t figure out when to cool and when to defrost. It could also be caused by condenser coils that need cleaning. 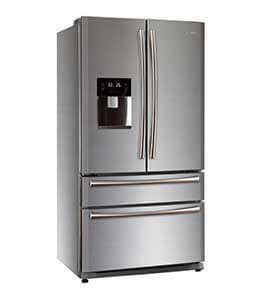 Appliance Repair Doctor technicians are licensed and work on all brands and models of refrigerators. We provide same day service every day of the year as available, even the Christmas and New Year holidays, at no extra cost even in evenings, on weekends and holidays; free service calls with repair and a full warranty of one year on parts and 90 days on labor. This does in fact occur. There are many reasons why a Refrigerator can just up and stop running. The first thing you should check is the power to the refrigerator. Is it plugged in? Did a circuit blow? If there is power running to the fridge and it is plugged in, you should call one of our Doctors. It could be that condenser coils are blocked up due to dust accumulation, or that the door switch is not properly reading that the door is closed. We are experts at assessing a fridge that has stopped running. This could be a problem with the condenser coils. Over time, the condenser coils accumulate dust and lesson the efficiency of the refrigerators cooling coils. This can cause the refrigerator to have to have its motor running constantly to keep it cool. This is normally the start to any other problems with the internal workings of the fridge. If the coils are clean it may be the insulation. Call us and we will get your fridge up to shipshape! This can happen for many reasons. You put hot food in the fridge, the temperature is set incorrectly, or some of the internal mechanics are not working properly. If refrigerator condensation is a continual occurrence, it’s best to call us for a diagnosis. It may be a problem of dirty condenser coils, or possible the insulation need to be replaced. We know all the reasons your fridge may be “sweating”. Give us a call. This is a serious issue. This means that either the refrigerant line was cracked, or that something else has gone wrong. Your refrigerator should never leak. Call us and we will come same day. We treat leaks as a top priority, as this could mean other serious issues with the refrigerator. First thing to check is the temperature settings on the fridge. Make the Refrigerator is around 36-40 Fahrenheit, and Freezer is close to 0. If this is set, and the cooling problem still seems to be a problem, it may be the seals broken, or the door switch isn’t working. It could also be as serious as a problem with the condenser coils. Give us a call if your fridge isn’t cooling properly. As one of the oldest and most trusted major appliance brands, General Electric (GE) is the most popular make of refrigerator in most of our homes. Our experienced appliance repair technicians specialize in General Electric refrigerator repair in San Francisco and the Bay Area including the new GE Profile Refrigerator. 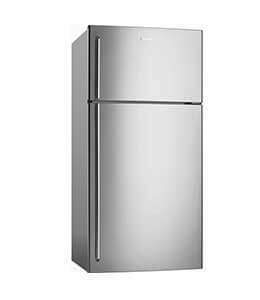 LG is a highly popular choice for home refrigerators because of its stylish design and affordability. Common LG refrigerator problems that our major appliance repair technicians service include loud noises caused by cooling mechanisms, leaking supply lines, faulty freezer sensors and more. KitchenAid refrigerators come in a variety of styles including built-in refrigerators, freestanding and under counter fridges. When it comes to KitchenAid refrigerator repair in San Francisco our major appliance repair vans are well stocked and our service technicians have a lot of experience with them. We can come to your home and provide you with same day refrigerator repair service to get your fridge back to its original working condition. The Maytag brand is equivalent to quality, strength and efficiency and is well recognized in the industry as manufacturing some of “The Best” major appliances on the market. If your Maytag fridge stops working for any reason a licensed Appliance Repair Doctor service technician can provide prompt Maytag refrigerator repair in San Francisco and The Bay Area. Most often we can come to your home on the same day and have your Maytag fridge repaired in no time. 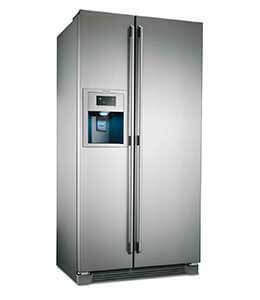 For Samsung refrigerator repair, Bay Area residents can rely on The Appliance Repair Doctor. Samsung’s latest high-technology appliances, which often include Wi-Fi, Apps and Touch Screens, do need some repairs occasionally. If you own a Samsung refrigerator that is giving you trouble contact The Appliance Repair Doctor’s technicians for same day service. Kenmore appliances, including refrigerators, are sold exclusively through Sears and depending on the model number, are manufactured by a variety of companies including Whirlpool, GE and LG. If you bought your Kenmore refrigerator through Sears and are in need of fridge repair, The Appliance Repair Doctor can help. A pioneer in refrigeration technology for almost 100 years, is currently owned by one of the world’s largest appliance manufacturers, Electrolux. Frigidaire fridges provides homeowners the reliability and reputation of its parent company, while being very affordable and innovative. The Appliance Repair Doctor’s Same-day repair service will be able to fix your broken fridge before your food spoils! Call The Appliance Repair Doctor today! Sub-Zero is a luxury refrigerator brand based in the United States. 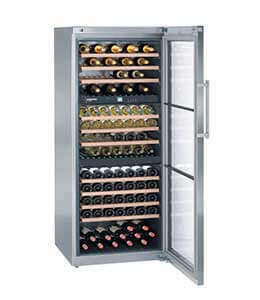 Sub-Zero provides the ultimate experience for home fridge use. 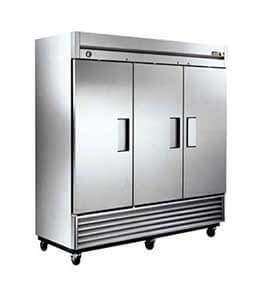 Sub-Zero is the only company that provides dual-refrigeration, which Sub-Zero claims will keep fresh food fresher and preserve frozen food longer. If your Sub-Zero is ever in need of a repair. Look no further than The Appliance Repair Doctor for all your Sub-Zero fridge repair needs! Miele is a top brand recognized for it’s high-end build and amazing features. It promises long-term, durable use. However, even the best of the best can hit bumps along the way, so it is important to have a reliable source of fridge repairs at your disposal. The Appliance Repair Doctor is your first choice! Call us today for same-day repair! 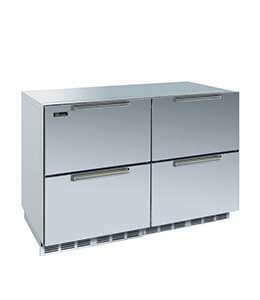 Thermador refrigerators offer the largest variety of design choices in the industry. 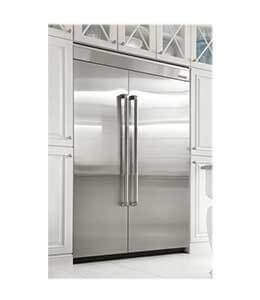 Thermador refrigerators are equipped with flat stainless steel panels and either Professional or Masterpiece handles. If you have a Thermador fridge that is malfunctioning call The Appliance Repair Doctor for the best same day service in the area! In addition to the fridge models above we have highlighted above, The Appliance Repair Doctor also services many other less prevalent brands of refrigerators. Contact The Appliance Repair Doctor for a free over the phone Refrigerator Repair Estimate in the San Francisco and Bay Area today. Same Day Refrigerator Service And Repairs in San Francisco, Marin County, Oakland & the rest of the Bay Area.